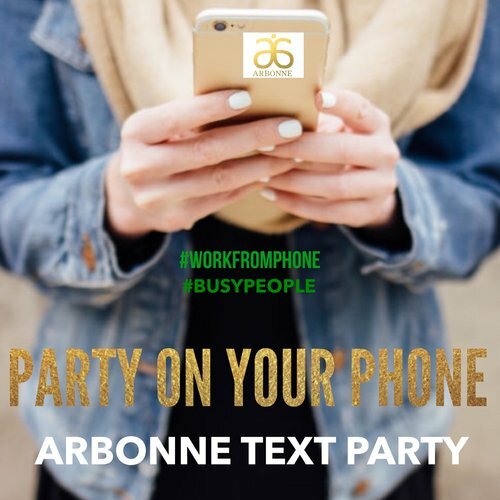 Welcome to our Arbonne ONLINE/ Text Party. .. Ummmm what is that.....OK...Brace yourself... this "party" was designed just for you. WHY.. Because I get it. You are BUSY, and for the LOVE of your sanity... I won't add you to another group or blow up your news feeds with notifications and make you lose it. So take a deep breath and let me share a little more. I am passionate about HEALTH & WELL. and am #obsessed with all things Arbonne. My heart is to share these PURE products that will transform you from the inside out. We have over 400 products for people with skin and who eat, so I am feeling pretty confident we have something you will LOVE!! How is your current skincare? If you are not wow'ed ...is that a word?..with the way your skin looks then check out our skincare lines. Maybe you want to freshen up your cosmetics? Our cosmetic line has some super cool technology to help you look #FLAWLESS. For REAL. Let's chat for just a second about Nutrition. Going out on a limb but assuming you eat. Maybe you skip a few meals or are constantly on the go and suffer with NO ENERGY.. PLEASE take a look at our Healthy Living Plan. Will CHANGE your LIFE... not even making that up. 1. Complete profile from your consultant ... you will receive a digital link from your host /consultant . SUPER important to fill out so we can STALK you !! Nahhhh... lets us know what you are interested in and how we can best #serve you. 2. Watch these few SHORT VIDEOS.. promise they are short, cute and informative! Our heart is to help get you started with these amazing products. We will figure out the BEST PRODUCTS FOR YOU and the BEST DEAL. I am always about SAVING...As a preferred client you can save 20-40% OFF on products, score FREE SHIPPING AND FREE PRODUCTS on qualifying orders! AND... You can purchase with complete confidence with our 45 day guarantee. PS... I wouldn't be serving you well, if I didn't share with you about this LIFE CHANGING opportunity. If you are looking for a side hustle to make some extra money ... OR you have a desire to be #bossfree and want to know more ... Let's do a quick video chat and answer your questions. Work from the comfy of your home! All you need is wifi and a desire in your heart to change your life!